The German supermarket chain is dipping its toe into the world of vinyl. 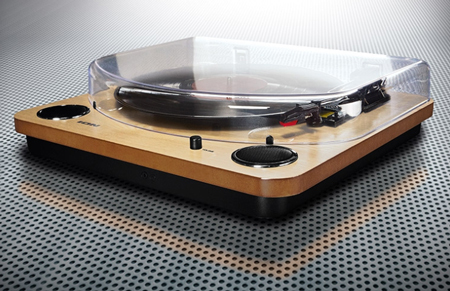 Just when we thought Lidl couldn't get any better, the news comes along that they've started selling turntables. As The Vinyl Factory reports, the discount supermarket chain is advertising an ION record player on their website for £49.99, and it doesn't look half bad. The turntable has in-built speakers, can connect to your home stereo and has a USB port and software which allows you to convert records into digital music files... because let's face it, we need music on our smartphones. Plus, it comes with a 3 year warranty. But if your Lidl is anything like ours, you're probably too late, and the product will already be long gone. Ah well, we'll just have to settle for a chopping board or a slanket instead.